Meet Mini Whinny, the littlest horse in the stable! She's ever so cute... and ever so naughty! It's August 1st, the official birthday for all horses. 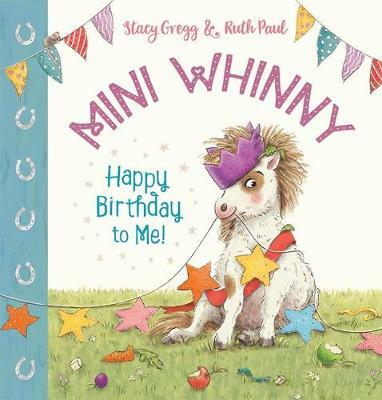 But Mini Whinny wants a celebration of her very own. Why should she share? In the middle of the night, she slinks out of her stabl... read full description below. Meet Mini Whinny, the littlest horse in the stable! She's ever so cute... and ever so naughty! It's August 1st, the official birthday for all horses. But Mini Whinny wants a celebration of her very own. Why should she share with all the other horses? In the middle of the night, she slinks out of her stable and steals away with all the party preparations... A brand-new picture book series from internationally bestselling Kiwi author Stacy Gregg.